DS-160 form must be filled out completely, to the last page, and electronically submitted by pressing“Sign and Submit” button, before scheduling your interview. 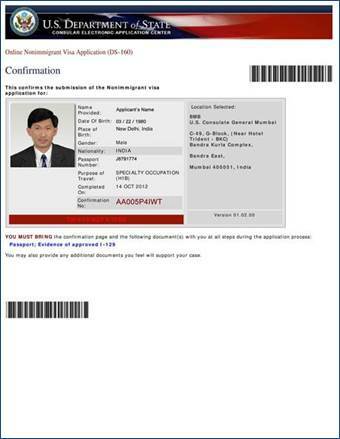 You cannot attend your visa interview without submitting your DS-160 form! IT IS MANDATORY to print out your DS-160 Confirmation Page with bar-code and bring it to the interview. Premium Delivery: If you select this option, we will send your passport to your home or office via TNT courier. There is an additional fee of 24 Lei for this service, which is paid directly to TNT on delivery. TNT Pick-up: You may pick up your passport at the TNT pick-up location you specified when you scheduled your interview. This option is free. Note: Please provide us with your mobile phone number and email address so that we may contact you for information on your passport delivery.